When the 2010 Census results were released, a number of big cities had populations that were very off from what would have been expected based on the Census Bureau’s previous annual estimates of the population – sometimes grossly so. Some of these were related to cities that had challenged the estimates and had adjustments made in their favor, such as Cincinnati and St. Louis. Given that the Census Bureau seems to have approved every challenge, bogus challenges were all but encouraged. Still, there were significant variances in cities that didn’t challenge the Census, such as Chicago and Phoenix. Had the estimates been correct, Atlanta would have gained over 125,000 people in the last decade – a stunning gain of 30%. But Atlanta’s actual population was nearly flat, growing less than 1%. Other cities experiencing huge swings due to misestimates were places like New York City (projected to gain 417,000, actually gained less than half that at 167,000) and Chicago (projected to lose 29,000 people, actually lost over 200,000). I myself ended up with some egg on my face for drawing unwarranted inferences from what appear to be badly botched estimates. Urban advocates were quick to cry foul, alleging undercounts (though taking the strong growth counted for downtowns as gospel). Given the much more rigorous Census standards for challenges to decennial counts, it was virtually impossible for these to succeed, but some have continued to maintain systematic undercounting in the decennial census as a matter of course. When the first round of new post-2010 Census estimates were released for cities, the media started crowing again about a supposed resurgence in city populations. However, this wasn’t real growth. Instead, the Census Bureau had created a new, temporary methodology to get the estimates out the door. Rather than producing real numbers, they simply took the estimates for growth at the county level and assumed every municipality in the country grew at the exact same percentage as the county as a whole. The media missed the story because they relied on the headline data, and were attracted to the “back to the city” meme. They would have had to dig into the methodology document – something ordinarily no one would need to do for this sort of routine release – to figure this out. This release was embarrassment number two for the municipal estimates program. You would think that after these two fiascos, the Census Bureau would be highly attuned to getting the municipal estimates right. Indeed, for the recently released 2012 vintage municipal estimates, they went back to using a real estimating methodology instead of the simple allocation approach from 2011. However, as with the 2000s, these are showing strong municipal population growth in places where that would represent a major discontinuity with the actual decennial Census results from the 2000-2010, and from economic conditions. How is it that cities, after a disappointing 2000s where some places actually underperformed versus the 1990s, in an economy that has been recessionary to sluggish the entire post-2010 person and in which the housing market that triggered the crash has also yet to recover, that these growth rates are possible? It’s certainly eyebrow-raising at a minimum. Consider Chicago. After losing over 200,000 people in the 2000s, Chicago supposedly gained 17,000 people between 2010 and 2012. With a highly publicized murder problem in many of the neighborhoods that saw the severest depopulation in the previous decade, where housing was whacked leaving any number of uncompleted building shells, and with a budget crunch that is squeezing service provision, this would certainly represent a remarkable accomplishment. Or look at Indianapolis. In its urban core area, Center Township (township data is reported in a similar manner to municipal estimates in some areas), the population declined by almost 25,000 people during the 2000s, a steep 14.5% loss that was worse than Buffalo and St. Louis and nearly as bad as Cleveland. Center Township has lost population every decade since 1950. 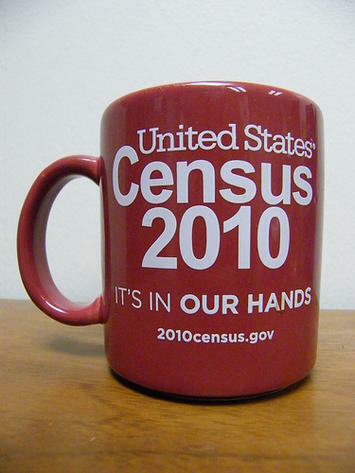 Yet the Census Bureau has estimated that it gained 2,300 people since the census. Though a lower total percentage due to the base, this is more physical people than was estimated to be added by all but three of Indy’s suburbs, many of which posted huge gains in the 2000s (such as Westfield, which added 20,800 during the 2000s but was only estimated to have added 1,800 since the census despite building permit issuances at all time record highs). This sort of radical turnaround in fortunes would certainly be nearly miraculous if true. Amazingly, the Census Bureau actually even went back to the estimating status quo ante in Atlanta by claiming very high population growth, despite missing by a country mile last time around. Atlanta is projected to have gained almost 24,000 people since the census, even though it was nearly flat the previous decade. This is a rate very close to what the Census Bureau estimated it had in the last decade. You can go right down the line and find similar effects at work in other places. It raises serious questions about these estimates. Places like San Francisco, DC, and even Pittsburgh have had economic growth that might seem to underpin more robust core population growth, it’s hard to credit many of these other places with such turnaround. Some of the analysts focused on an inability of people to move outwards because of the economy, but it’s hard to believe this alone grew the population of Atlanta by 24,000 people. There are red flags all over these numbers. Perhaps the urban advocates claiming dramatic undercounting in the census were right – or maybe not. Regardless, something very odd appears to have been going on with the Census Bureau’s municipal estimates and counts over the last decade or so. Until there’s reason to believe they’ve finally started getting it right, I would treat any number that comes out before the decennial census with extreme skepticism. After having fooled us not once, but twice before, smart money should apply a steep discount to any annual municipal estimates coming out of the Census Bureau.